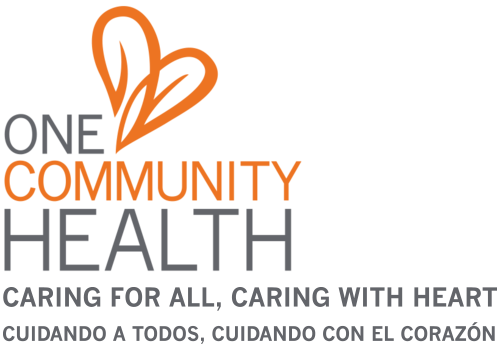 Founded in 1986, One Community Health (formerly La Clínica del Cariño Family Health Care Center, Inc.) is a non-profit, federally qualified, community and migrant health center. Our doors are open to all people in Hood River and Wasco counties in Oregon, and Klickitat and Skamania counties in Washington. We provide integrated medical, dental and behavioral health services to nearly 12,000 patients. In the late 1970s, farmers and child advocates in the Columbia River Gorge founded the Migrant and Indian Coalition (now called the Oregon Child Development Coalition) to provide much-needed daycare for preschool children. Ten years later, the same group recognized that farmworkers and their families often had trouble accessing medical care. In response, these advocates teamed up to create a new nonprofit migrant health center, originally called La Clínica del Cariño/The Caring Clinic, or "La Clínica" for short. The clinic first opened its doors in Hood River, Ore., in 1986. Thanks to a federal grant, La Clínica immediately began providing farmworkers and others with medical care in a small, rented office on Rand and May Streets. Manuel de Anda Gutierrez chaired La Clínica’s first board of directors, and Colin Wood was the organization’s first executive director. Both were exceptional leaders who carried La Clínica into a period of rapid change and growth. By 1988, nearly 50 percent of the patients who came through the door weren’t farmworkers or Latinos but other community members who also needed affordable health care. Our doctors were delivering almost half of all the babies born in Hood River County. As a result, the federal government designated La Clínica more broadly as a community health center and awarded additional grant funding. La Clínica was a pioneer in using community health workers, formerly known as health promoters, to help patients get the health education and care they needed. In 1988, we began our first health promotion program: El Niño Sano/The Healthy Child. In just four years, La Clínica grew quickly and needed a new facility. In 1990, property was purchased on Pacific Avenue in Hood River, using a combination of grants, loans, donations and payments for care. Our new, permanent two-story building opened there in 1991. El Niño Sano demonstrated a huge unmet need for dental care for children and their families, so a new dental facility was added to our Hood River location in 1995. Medical and dental care flourished at La Clínica. Our various health promoter programs received national awards. Although we had always provided services to people from Hood River and Wasco counties in Oregon and in Klickitat and Skamania counties in Washington, our only location was in Hood River. We needed to expand to ensure greater access of care. Fortunately, in late 2004, special funding and planning allowed us to launch a new medical and dental center on 7th Street in The Dalles. In 2013, the Board of Directors renamed the organization “One Community Health” to better reflect the fact that we serve everyone in the community. Despite the name change, farmworkers and their families continue to be a special focus of our mission and programs. This fully accredited Rural Training Program launched in 2013 and is a partnership between Providence Hood River Memorial Hospital, One Community Health and the Providence Oregon Family Medicine Residency. Learn more about the residency program here. In April 2013, a brand new, “state of the art” One Community Health facility opened at the intersection of West 10th and Webber Streets in The Dalles. We are grateful to the Health Resources and Services Administration for awarding us a capital improvement grant to construct this facility. It took years of hard work on the part of the board, staff and partners to make this possible. In 2015, One Community Health opened the first school-based health center in our region. Serving all children and teens who reside in Hood River County, it is located at Hood River Valley High School and operates when school is in session. Learn more about the School-based health center here. In 2016, One Community Health expanded services to include the cutting-edge practice of integrating behavioral health providers with our existing medical, dental and community outreach services. Integrated Behavioral Health, means that a patient’s care includes the services and support of expert mental health providers that we call Behavioral Health Consultants. They provide education, ideas and support to guide treatment planning and lifestyle changes. These Consultants work as essential members of the medical and dental teams, so that the health care provided considers the importance of how emotional health, social lives, family systems, behaviors, and personal history relate to our physical health. It’s about treating the whole person—all providers work together with the patient, focusing on the common goal of improved health and wellness. This is One Community Health's fastest growing area of service. It has received the accolades of the Columbia Gorge Health Council in Partnership With PacificSource Community Solutions Coordinated Care Organization (CCO), achieving Tier 5 status (out of six tiers) for its excellence in integrated behavioral health and substance use services. Learn more about behavioral health services here. We are proud to continue our mission of advancing health and social justice for all members of our community. We regularly assess the needs of our patients to develop new services and programs as well as expand and improve existing ones. We rely on the generous support of private funding and federal grants to continue our programs and to extend the associated financial savings back into the regional economy. Please consider making a donation today. But what exactly does that mean? When we talk about advancing health, we are here to address much more than the medical aspects of your life. Social justice means all people have the right to live fulfilling lives, engaging in and contributing to society in positive, productive ways. It's through this lens that we develop and practice our services, programs and culture of care. As our name confirms, One Community Health is a health care home for all people in our region. Anyone is welcome here, and we embrace and honor diversity, believing this makes society healthier and happier for everyone in the end.